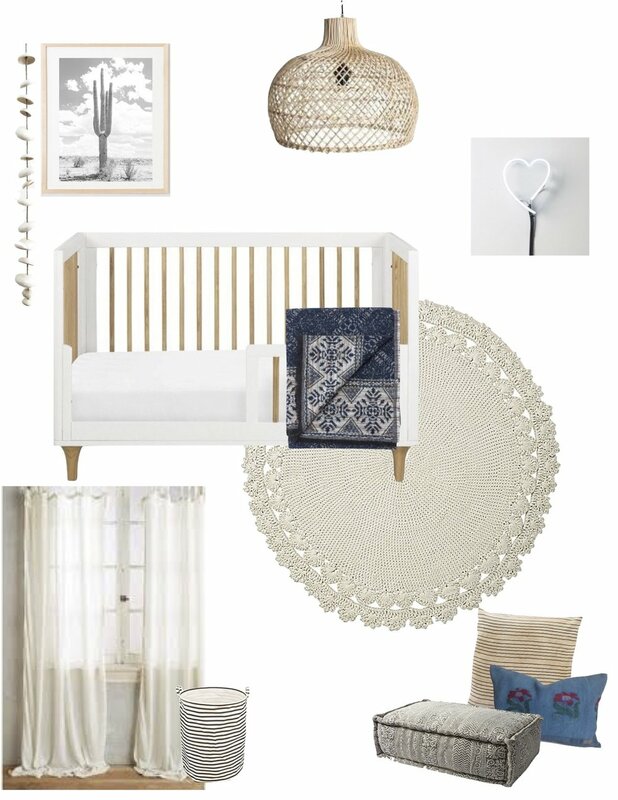 This boho chic toddler room moodboard (and most current game plan for Reese's room restyle) mixes soft neutrals with contrasting colors - gray, black and indigo - to create a toddler room that's boho with a chic, modern edge. Natural and woven elements like the pendant light (expect to see these in A LOT of upcoming posts), the crochet rug and vintage textiles add an organic touch to the room - and tons of texture too! To keep things modern, a framed b&w cacti print by Wilder California (our room inspo) and a neon wall light finish the look.